Shimizu, Takao & Nobutaka Kamei eds. 2017. Africa where children live: On the earth between the traditional cultures and the development. Kyoto: Showado. Kamei, Nobutaka. 2016. Policies and life of the people with disabilities in Senegal: The regional office of "African Decade of Persons with Disabilities," education, movements and labor. In: Mori, Soya ed. Disability and development in Africa: Towards SDGs (Sustainable Development Goals) (IDE Research Series No. 622). Chiba: Institute of Developing Economies, Japan External Trade Organization. 195-235. Kamei, Nobutaka. 2015. Various bodies, various cultures. In: Michinobu, Ryoko ed. Life and nurturing: The influence of contemporary medicine, social welfare and culture on today's children (Iwanami Junior Paperbacks 799). Tokyo: Iwanami Shoten, Publishers. 1-13. Kamei, Nobutaka. 2015. Africa and Europe: Beyond the centuries of racism and exploitation. In: Takenaka, Katsuyuki ed. Globalization and boundary of cultures: Challenges of Europe that manages diversity. Kyoto: Showado. 131-147. Kamei, Nobutaka. 2014. Disabilities. In: Shinji Yamashita ed. Public anthropology. Tokyo: University of Tokyo Press. 121-137. The Little World, Museum of Man (supervisor). Dome ed. 2013. "Cameroon: Domes made of leaves in the forest." In: Encyclopedia of houses in the world. Tokyo; Kyoto: PHP Institute. 34-35. Toda, Mikako & Nobutaka Kamei. In press. People with disabilities in Cameroon. In: Shimada, Yoshihito ed. Area studies: Cameroon. Tokyo: Akashi Shoten. Kimura, Daiji, Masao Morita & Nobutaka Kamei. 2013. Mathematics embodied. In: Sugawara, Kazuyoshi ed. Anthropology of embodiment: Recognition, memory, languages and other persons. Kyoto: Sekaishisosha. 42-75. Kamei, Nobutaka. 2013. Fieldworkers and minority languages: The case of collaboration with Deaf communities in Africa and the world. In: Akamine, Jun ed. Multi-sited fieldwork amid globalization: Environment, language, and migration. Tokyo: Shinsensha. 200-237. Oguni, Kazuko, Nobutaka Kamei & Shuji Iijima eds. 2011. Fieldwork with supporting: The scenes of development and social work. Kyoto: Sekaishisosha. Kamei, Nobutaka. 2010. Livelihood of people with disabilities in Côte d'Ivoire: With a focus on the exceptional recruitment in formal sectors. In: Mori, Soya ed. Poverty reduction for the disabled in developing countries: How do they live? Tokyo: Iwanami Shoten, Publishers. 187-211. Kamei, Nobutaka. 2010. Sign languages as minority languages and Braille as minority letters: Strategies for the co-existence with majority. In: Hirose, Kojiro ed. "Introduction to the Braille for all: From tactile letters to tactile culture". Tokyo: Seikatsushoin. 151-162. Kamei, Nobutaka. 2010. Deaf culture in natural conversations. In: Kimura, Daiji, Michio Nakamura & Katsuya Takanashi eds. Boundary and conjunction of social interaction: Studies in nonhuman primates, humans and conversation. Kyoto: Showado. 110-121. Kamei, Nobutaka. 2010. Exploring the possibility of the "ethnography of children": A case of the study of play of Baka hunter-gatherers. In: Kimura, Daiji & Koichi Kitanishi eds. People, nature and history of African tropical forests 2: From social perspectives. Kyoto: Kyoto University Press. 281-296. Kamei, Nobutaka. 2010. Little "hunters" in the forest: Ethnography of hunter-gatherer children. Kyoto: Kyoto University Press. Akiyama, Nami & Nobutaka Kamei. 2009. Preface for Korean readers. In: Shall we sign? (translated in Korean) Seoul, South Korea: Samin Publishing. Kamei, Nobutaka ed. 2009. Introduction to the anthropology of play: Encounters with "children" in the fields. Kyoto: Showado. Kamei, Nobutaka. 2009. Let's visit the world of sign language! (Iwanami Junior Paperbacks 630) Tokyo: Iwanami Shoten, Publishers. Kamei, Nobutaka. 2009. A contact sign language made of ASL and French: French-speaking West and Central Africa. In: Kaji, Shigeki & Yukitoshi Sunano eds. Languages and societies in Africa: Life in multilingual communities. Tokyo: Sangensha Publishers Inc.
Kamei, Nobutaka. 2009. How to construct rapport beyond linguistic and physical differences: Fieldwork in African Deaf communities. In: Minoura, Yasuko ed. Ethnographic fieldwork II: Analysis and interpretation. Kyoto: Minerva Publishing Co., Ltd. 74-90. Watanabe, Kazuo (author), Nobutaka Kamei (editorial supervisor). 2009. Cameroon (Series: Photo reports of the world (42)). Tokyo: Poplar Publishing Co., Ltd.
Kamei, Nobutaka. 2008. Deaf people and sign languages (Interview with Africanists). In: Yamada, Shoko ed. Studies on African societies (Iwanami Junior Paperbacks 588) Tokyo: Iwanami Shoten, Publishers. 135-152. Takeda, Joe & Nobutaka Kamei eds. 2008. Introduction of fieldwork with actions. Kyoto: Sekaishisosha. Kamei, Nobutaka. 2008. Basic model of human development of the Deaf: The history of the development of deaf education in Africa. In: Mori, Soya ed. Disability and development: Perspective on social model of disability in the developing countries (IDE Research Series No. 567). Chiba: Institute of Developing Economies, Japan External Trade Organization. 201-228. Kamei, Nobutaka. 2007. Sign languages as knowledge resources. In: Daniels, Christian ed. Positive and negative of knowledge resources (Resource anthropology series vol.3). Tokyo: Koubundou. 93-125. Kamei, Nobutaka. 2007. Deaf communities and sign languages. In: Ochiai, Takehiko & Tomoko Kanata eds. Medicine, disability and gender in Africa: A new multi-disciplinary approach to Nigerian society (The Socio-Cultural Research Institute Series No.4, Ryukoku University). Kyoto: Koyoshobo. 157-184. Kamei, Nobutaka. 2006. History of Deaf people and sign languages in Africa: Fieldwork in the "kingdom" derived from Andrew J. Foster. Tokyo: Akashi Shoten. Kamei, Nobutaka. 2006. Lesson 8: Background "Sign languages." In: New Crown Editorial Board ed. New Crown English Series, New Edition 3, Teacher's Manual 2. Tokyo: Sanseido. 253-258. Akiyama, Nami & Nobutaka Kamei. 2004. Shall we sign? : Opinions of the Deaf, feelings of the hearing (Shuwa de ikou: Rosha no ibun, chosha no honne). Kyoto: Minerva Publishing Co., Ltd.
Kamei, Nobutaka. 2004. Sign language in Myanmar: One language or two? 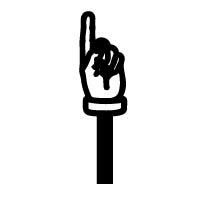 In: Foreign Sign Department, Japan Institute for Sign Language Studies ed. 2004. Sign languages of Asia (Asia no shuwa) Vol.5. Tokyo: Japan Institute for Sign Language Studies. 10-19. Kamei, Nobutaka. 2001. Play of the children of the Baka hunter-gatherers. In: Ichikawa, Mitsuo & Hiroaki Sato eds. Hunter-gatherers in the Central African forests (Mori to hito no kyozon-sekai). Kyoto: Kyoto University Press. 93-139. Kamei, Nobutaka. 2000. Another multilingual community: Education and languages of the Deaf in Cameroon. In: Nakamura, Yuichiro & Yasuko Ichibangase eds. Social welfare in the world (11) Africa, Latin America and Spain (Sekai no shakai-fukushi (11)). Tokyo: Junposha. 83-108. Kamei, Nobutaka. 2017. Play and games by hands (pp.438-442); Hands with violence, crime and punishment (pp.533-536); Tools as expanded hands, tools as imitated hands (pp.537-540); Hands of imaginary creatures and characters (pp.582-584). In: Society of Biomechanisms Japan ed. Editor-in-chief: Morihiko Okada. Encyclopedia of the Hand. Tokyo: Asakura Pulishing. Kamei, Nobutaka. 2018. Trends of museum exhibitions on "race" and "racism": Cases of exhibitions by Musée de l'Homme in France and the American Anthropological Association. In: Bulletin of the National Museum of Ethnology 42(4): 449-474. Iijima, Shuji, Takao Shimizu, Junji Koizumi, Ryosuke Imanaka, Nobutaka Kamei, Akiko Kunihiro, Nobue Suzuki, Yuki Imoto & Matori Yamamoto. 2013. Correspondence: Report on the 2012 Inter-Congress, International Union of Anthropological and Ethnological Sciences (IUAES). In: Japanese Journal of Cultural Anthropology (Bunkajinruigaku) (Japanese Society of Cultural Anthropology) 78-2: 278-283. Kamei, Nobutaka. 2011. Anthropology and development studies: Dialogue interactions with the research in "disability and development" (Featured articles "To enrich anthropology, to enrich by anthropology: Possibilities of the expansion of anthropology through cross-disciplinary studies"). In: The bulletin of the Kyushu Anthropological Association 38: 89-94. Kamei, Nobutaka. 2009. Research on Langue des Signes d'Afrique Francophone (LSAF): How to share the product of the DVD sign language dictionary project. In: Lingua-Culture Contextual Studies in Ethnic Conflicts of the World (LiCCOSEC) (Research Institute for World Languages, Osaka University) 8 (Annual report in 2008): 367-380. Kamei, Nobutaka. 2009. Minority languages and fieldwork: Researchers' actions and ethics (Featured articles "Field of actions"). In: The bulletin of the Kyushu Anthropological Association 36: 14-25. Kamei, Nobutaka. 2008. The Deaf community in Cameroon: A preliminary essay on the ethnography of African Deaf communities. In: Japanese Journal of Sign Linguistics (Japanese Association of Sign Linguistics) 17: 99-112. Kamei, Nobutaka. 2005. Making sketches in the field: Sketch literacy for social research. In: Advanced Social Research (Sentan Shakai Kenkyu) (Kwansei Gakuin University) 2: 95-125. Kamei, Nobutaka. 2004. Language and happiness: Three basic requirements for linguistic rights. In: Advanced Social Research (Sentan Shakai Kenkyu) (Kwansei Gakuin University) 1: 131-157. Kamei, Nobutaka. 2004. The sign languages of Africa. In: Journal of African Studies (Africa Kenkyu) (Japan Association for African Studies) 64 (March 2004): 43-64. Kamei, Nobutaka. 2003. Foster, the father of the Deaf education in Africa. In: Africa Report (Institute of Developing Economies) 36 (March 2003): 36-39. Kamei, Nobutaka. 2002. An anthropological study on the daily activities and the socialization process of the children of the Baka hunter-gatherers. Doctoral thesis. Kyoto University (March 25, 2002, Doctor in Science No. 2502). Kamei, Nobutaka, Atsumi Miyatani, Hiroko Azuma, Katsumi Kosaka, Yasuhiro Matsubayashi & Shoichi Kusano. 2019. A report on "Project-Based Learning" classes in the Department of International and Cultural Studies, Aichi Prefectural University: The practices of three academic years (2015-2018). In: The Journal of the Faculty of Foreign Studies, Aichi Prefectural University: Area studies and international relations (School of Foreign Studies, Aichi Prefectural University) 51: 173-199. Kamei, Nobutaka. 2018. What can we learn from "African children" ? : Publication of "Africa where children live." In: the Series of articles "Life-size Africa; Frontiers of Africa," Academic Journalism SYNODOS (https://synodos.jp/international/21202, March 20, 2018). Kamei, Nobutaka. 2017. The report of the 30th West African Languages Congress (WALC2017) organized by the West African Linguistic Society (WALS/SLAO). In: Journal of African Studies (Africa Kenkyu) (Japan Association for African Studies) 92 (December 2017) : 135-137. Kamei, Nobutaka. 2017. Practical use of visual expressions in fieldwork: The achievements of social research trainings and issues in the near future. In: Matsuo, Kojiro ed. Featured articles "Research and expressions: The strategies for communications." Advances in social research (edited and published by: Japanese Association for Social Research; produced and distributed by: Kyoto: Information Design Associates Kyoto) 19: 23-34. Kamei, Nobutaka. 2017. Toward the inclusive society that accepts diversity: Three messages from cultural anthropology (the slides for the presentation in the symposium "Toward the new curriculum "civil society" in high schools: The propositions by cultural anthropology" sponsored by the Section of Anthropology, Science Council of Japan (November 19, 2016, Science Council of Japan, Minato, Tokyo, Japan)). In: Takezawa, Yasuko ed. Proceedings of the project 2016 for Integrated research into the processes and mechanisms of racialization (Grant-in-Aid for Scientific Research (S) (2016-2021)). Kyoto: Project "Integrated research into the processes and mechanisms of racialization," Institute for Research in Humanities, Kyoto University. 93-98. Kamei, Nobutaka. 2017. Lecture: Approaches of the studies on African childhood: The aims and perspectives. In: Child science (Japanese Society of Child Science) 13: 16-19. Kamei, Nobutaka. 2017. "Communication disorders" as a new type of eugenics: Toward better conversations between cultures (Hiroyuki Yamato ed. Featured articles "Beyond "communication disorders""). In: Human mind (Kokoro no kagaku) (Nippon Hyoron sha co., Ltd) 191 (January 2017): 57-63. Kamei, Nobutaka. 2016. Toward the development that includes diversity of African societies: The scenes of people with disabilities in West Africa. In: World Trend (Featured articles: Rethinking African development in the occasion of TICAD VI) (Institute of Developing Economies) 253 (November 2016): 16-19. Miyamoto, Ritsuko, Nami Akiyama & Nobutaka Kamei. 2015. Management of the sign language workshop at WOCAL8. In: Japanese Journal of Sign Language Studies (Japanese Association for Sign Language Studies) 24: 51-58. Sanogo, Yédê Adama & Nobutaka Kamei. 2015. Promotion of sign language research by the African Deaf community: Cases in West and Central French-speaking Africa. In: Japanese Journal of Sign Language Studies (Japanese Association for Sign Language Studies) 24: 3-16. Kamei, Nobutaka. 2015. Report on the fieldwork skill training in Aichi Prefectural University: The workshop of visual anthropology for students in 2012-2014. In: Journal of cultural symbiosis research (Cultural Symbiosis Research Institute, Aichi Prefectural University) 9: 113-126. Kamei, Nobutaka. 2015. "Segregation in the name of cultural differences"? : Apartheid and the politics of the acceptance of differences. In: Academic Journalism SYNODOS (February 25, 2015). Kamei, Nobutaka. 2014. Report of the preliminary research on the people with disabilities in Senegal in 2013: The regional office of "African Decade of Persons with Disabilities," education and movements. In: Mori, Soya ed. Disability and people with disabilities in African countries: From the perspective of "disability and development". Chiba: Institute of Developing Economies, Japan External Trade Organization. 100-117. Kamei, Nobutaka. 2014. Report of the questionnaire survey on sign language education targeting students of Aichi Prefectural University: Proposal of sign language classes that respond to expectations of students. In: The world of languages (Research Institute of Advanced Language Education, Aichi Prefectural University) 6: 27-38. Takenoshita, Yuji, Nobutaka Kamei, Kae Amo, Takao Shimizu, Nobuhide Sawamura. 2013. Report on the 50th Annual Meeting of the Japan Association for African Studies, Forum "Studies on African childhood: School education and "traditional" education in Francophone Africa." In: Journal of African Studies (Africa Kenkyu) (Japan Association for African Studies) 83: 37-51. Kamei, Nobutaka, Kyoto Koga & Haruko Sakaedani. 2013. How can language description and documentation contribute to Africa? : Report on the 7th World Congress of African Linguistics (WOCAL 7). In: Journal of African Studies (Africa Kenkyu) (Japan Association for African Studies) 83: 33-36. Yatsuka, Haruna, Naoki Matsuura & Nobutaka Kamei. 2013. Resilience and vulnerability of hunting and gathering societies: Report on the 10th International Conference on Hunting and Gathering Societies (CHaGS10). In: Journal of African Studies (Africa Kenkyu) (Japan Association for African Studies) 83: 29-32. Azuma, Hiroko & Nobutaka KAMEI. 2013. Academic skills training through fieldwork: The case of "Basic Seminar I" in the Department of International and Cultural Studies, Aichi Prefectural University. In: The Journal of the Faculty of Foreign Studies, Aichi Prefectural University: Area studies and international relations (School of Foreign Studies, Aichi Prefectural University) 45: 245-258. Kamei, Nobutaka. 2012. Policies for the people with disabilities and an anecdote of Gbagbo's cabinet, Cote d'Ivoire. In: Africa Now (Africa Japan Forum) 95: 12-15. Kamei, Nobutaka. 2012. What can we learn from African children? : A report on the "Seminar of the studies on African childhood in Nagoya". In: Journal of cultural symbiosis research (Cultural Symbiosis Research Institute, Aichi Prefectural University) 6: 122-126. Kamei, Nobutaka. 2012. Report of the research on the children of Baka hunter-gatherers in Southeastern Cameroon: With a focus on the situation of schooling in 2012. In: Terashima, Hideaki ed. Research on learning behaviors of Homo sapiens based on the fieldwork on hunter-gatherers: Report of the Research team A-02 in 2011-2012 (Grant-in-Aid for Scientific Research "Replacement of Neanderthals by Modern Humans: Testing evolutionary models of learning"). Kamei, Nobutaka. 2011. Play and learning of children of Pygmy groups, the hunter-gatherers. In: Terashima, Hideaki ed. Research on learning behaviors of Homo sapiens based on the fieldwork on hunter-gatherers: Report of the Research team A-02 in 2010-2011(Grant-in-Aid for Scientific Research "Replacement of Neanderthals by Modern Humans: Testing evolutionary models of learning"). Yoneda, Nobuko, Motomichi Wakasa, Katsuhiko Shiota, Junko Komori & Nobutaka Kamei. 2011. Seminar on African studies: Languages of Africa. In: Journal of African Studies (Africa Kenkyu) (Japan Association for African Studies) 78 (March 2011): 43-60. Kamei, Nobutaka. 2011. Guest speech: Learn from the plays of children living in nature: the girls and boys of the African rainforests (in: the 13th annual meeting of the Japan Outdoor Education Society). In: Japan Outdoor Education Journal (Japan Outdoor Education Society) 14(1): 1-13. Kamei, Nobutaka. 2010. An introduction to the fieldwork: For better understanding and rapport. In: Japan Association of Deaf History ed. Report on the 12th Annual Meeting of the Japan Association of Deaf History in Fukuoka. 45-59. Kamei, Nobutaka ed. 2010. Featured articles "A half-century of sign linguistics." In: Japanese Journal of Sign Linguistics (Japanese Association of Sign Linguistics) 19: 9-63. Kamei, Nobutaka. 2010. Current of research ethics of sign languages as minority languages: Report of the 35th Annual Meeting of the Japanese Association of Sign Linguistics. In: Journal of the Institute of Language Research (Institute of Language Research, Tokyo University of Foreign Studies) 15: 378. Kamei, Nobutaka. Submitted. A preliminary research on the Deaf community and sign languages in Gabonese Republic. In: Takeuchi, Kiyoshi ed. An anthropological research on the reformation of ethnic identities in the African tropical forests (Grant-In-Aid for International Scientific Research, Ministry of Education, Culture, Science, Sports and Technology). Kamei, Nobutaka & Nobuko Yoneda. 2009. African linguistics for understanding and progress: Report on the 6th World Congress of African Linguistics (WOCAL 6). In: Journal of African Studies (Africa Kenkyu) (Japan Association for African Studies) 75 (December 2009): 45-47. Kamei, Nobutaka. 2009. Report of the symposium "How to conduct sign language research? : Ethics of sign language researchers" in the 35th Annual Meeting of the Japanese Association of Sign Linguistics. In: The website of the Japanese Association of Sign Linguistics (Submitted on December 15, 2009; uploaded on January 4, 2010). Kamei, Nobutaka ed. 2009. Featured articles "Ethics in sign language research." In: Japanese Journal of Sign Linguistics (Japanese Association of Sign Linguistics) 18: 1-46. Kamei, Nobutaka. 2009. The exceptional recruitment in formal sectors: Livelihood of people with disabilities in Côte d'Ivoire. In: World Trend (Institute of Developing Economies) 168 (September 2009): 28-31. Kamei, Nobutaka. 2009. Toward ethnographies of those who are taken care of: A comment for the International Research Forum "Anthropology of life design and well-being." In: Project "Anthropology of life design and well-being" (Chief Researcher: Nanami Suzuki) ed. International Research Forum: Anthropology of life design and well-being. Suita: National Museum of Ethnology. 113-114. Kamei, Nobutaka. 2009. Report of the faculty development seminar: Understanding needs of deaf students: Workshop and cases for the improvement of teachers' attitudes. In: Annual Report of the Student Counseling Room, Bukkyo University 17 (March 2009): 31-36. Kamei, Nobutaka. 2009. Research on proper noun signs of the world: Collection of signs for places and persons. In: Japan Institute for Sign Language Studies ed. Report of the 7th Seminar of Sign Language Studies, Japan Institute for Sign Language Studies. Kyoto: National Center of Sign Language Education. 17-24. Foreign Sign Department, Japan Institute for Sign Language Studies ed. 2008. Talking with Deaf persons and sign language researchers from foreign countries. Kyoto: National Center of Sign Language Education. Kamei, Nobutaka. 2008. Fieldwork for the development and linguistic minorities: A case of research in African sign languages. In: Papers of the 19th Annual Meeting of Japan Society for International Development. Japan Society for International Development. 166-169. Kamei, Nobutaka. 2008. A new method for the study of livelihood of people with disabilities in developing countries: Ecological anthropological approach for the "social model of disabilities." In: Mori, Soya ed. Research report: Poverty reduction for the disabled: Livelihood of disabled people in developing countries. Chiba: Institute of Developing Economies, Japan External Trade Organization. 31-47. Kamei, Nobutaka. 2007. ASL in francophonie: A contact sign language in West and Central Africa (2). In: Languages, Monthly journal (Gekkan Gengo) 36(10) (October 2007): 90-97. Kamei, Nobutaka. 2007. ASL in francophonie: A contact sign language in West and Central Africa (1). In: Languages, Monthly journal (Gekkan Gengo) 36(9) (September 2007): 68-74. Kamei, Nobutaka. 2007. Current research on languages and education in Africa: Report on the LEA2006 Conference. In: Ex Oriente (Association for Integrated Studies in Language and Society, Osaka University of Foreign Studies): 391-393. Kamei, Nobutaka. 2007. Research ethics for hearing researchers on the Deaf: Four manners for understanding Deaf cultures. Journal of Cross-Cultural Studies (Cross-Cultural Interchange & Research Institute, Yamaguchi University) 1: 81-92. Kamei, Nobutaka. 2007. Publishing "History of Deaf people and sign languages in Africa". Africa Now (Africa Japan Forum) 76: 20-25. Kamei, Nobutaka. 2007. Cultural Anthropology on the Deaf and sign languages: Necessities and tasks. In: Nanzan Anthropological Institute Newsletter (Nanzan University) 15 (March 2007): 3-9. Kamei, Nobutaka. 2006. Current researches on languages and education in Africa: Report on LEA2006 Conference in Oslo, Norway. In: Journal of African Studies (Africa Kenkyu) (Japan Association for African Studies) 69 (December 2006): 157-160. Kamei, Nobutaka. 2006. Liberty of sign language in the development process: A paradox of language liberty of the Deaf and the economic affluence. In: World Trend (Institute of Developing Economies) 135 (December 2006): 16-19. Kamei, Nobutaka. 2006. The sign languages of Africa: Language map, endangered languages and creoles. In: Ex Oriente (Association for Integrated Studies in Language and Society, Osaka University of Foreign Studies) 13: 297-299. Kamei, Nobutaka. 2006. School education project by the Deaf for the Deaf: Case of the history of the construction of Deaf education in West and Central Africa. In: Mori, Soya ed. Research report: New issues around development studies and social-welfare studies. Chiba: Institute of Developing Economies, Japan External Trade Organization. 119-138. Kamei, Nobutaka. 2006. Endangered world languages: Report of the session at the 104th Annual Meeting of the American Anthropological Association. In: Sign Language Communication Studies (Shuwa Communication Kenkyu) (Japan Institute for Sign Language Studies) 59 (March 2006): 62-69. Kamei, Nobutaka. 2006. The Deaf in Africa (12) In the era of globalization. In: Sign Language Communication Studies (Shuwa Communication Kenkyu) (Japan Institute for Sign Language Studies) 59 (March 2006): 83-89. Kamei, Nobutaka. 2005. Social research for the majority? : Introduction to the special feature II "New perspectives for minority studies." In: Advanced Social Research (Sentan Shakai Kenkyu) (Kwansei Gakuin University) 3: 131-139. Kamei, Nobutaka. 2005. The Deaf in Africa (11) Multiple aspects of apartheid. In: Sign Language Communication Studies (Shuwa Communication Kenkyu) (Japan Institute for Sign Language Studies) 58 (December 2005): 46-53. Kamei, Nobutaka. 2005. The Deaf in Africa (10) Foster generation of today. (Including a special interview "Toward the African Union of the Deaf: Mr. Nickson Kakiri from Kenya talks") In: Sign Language Communication Studies (Shuwa Communication Kenkyu) (Japan Institute for Sign Language Studies) 57 (September 2005): 41-49. Kamei, Nobutaka. 2005. Folktales of Deaf Africans: Searching for their signed history. In: The Kanagawa University Review (Kanagawa Daigaku Hyoron) 51 (July 2005): 154-157. Kamei, Nobutaka. 2005. The Deaf in Africa (9) Teacher training by the Deaf. In: Sign Language Communication Studies (Shuwa Communication Kenkyu) (Japan Institute for Sign Language Studies) 56 (June 2005): 45-52. Kamei, Nobutaka. 2004. Surveillance on surveillance systems: Report on the 2nd International Symposium of the 21st Century COE Program, 2004. In: Advanced Social Research (Sentan Shakai Kenkyu) (Kwansei Gakuin University) 1: 315-319. Kamei, Nobutaka. 2004. Foster, Father of Deaf education in Africa. In: Japan Association of Deaf History ed. Report on the Annual Meeting of the Japan Association of Deaf History Vol.2. 79-82. Kamei, Nobutaka. 2004. The Deaf in Africa (8) Total communication by Foster. In: Sign Language Communication Studies (Shuwa Communication Kenkyu) (Japan Institute for Sign Language Studies) 54 (December 2004): 58-64. Kamei, Nobutaka. 2004. The Deaf in Africa (7) Expansion of missionary education (Including a special column "Letter from Benin"). In: Sign Language Communication Studies (Shuwa Communication Kenkyu) (Japan Institute for Sign Language Studies) 53 (September 2004): 56-62. Kamei, Nobutaka. 2004. The Deaf in Africa (6) Foster, Father of Deaf education in Africa. In: Sign Language Communication Studies (Shuwa Communication Kenkyu) (Japan Institute for Sign Language Studies) 52 (June 2004): 47-54. Kamei, Nobutaka. 2004. The Deaf in Africa (5) Deaf views of America. In: Sign Language Communication Studies (Shuwa Communication Kenkyu) (Japan Institute for Sign Language Studies) 51 (March 2004): 55-62. Kamei, Nobutaka. 2003. The Deaf in Africa (4) Controversies over foreign sign languages. In: Sign Language Communication Studies (Shuwa Communication Kenkyu) (Japan Institute for Sign Language Studies) 50 (December 2003): 44-53. Kamei, Nobutaka. 2003. The Deaf in Africa (3) Sign languages introduced into Africa. In: Sign Language Communication Studies (Shuwa Communication Kenkyu) (Japan Institute for Sign Language Studies) 49 (September 2003): 58-65. Kamei, Nobutaka. 2003. Deaf education by the Deaf in Africa. In: World Trend (Institute of Developing Economies) 96 (September 2003): 35-38. Kamei, Nobutaka. 2003. The Deaf in Africa (2) Sign languages used in Africa. In: Sign Language Communication Studies (Shuwa Communication Kenkyu) (Japan Institute for Sign Language Studies) 47 (March 2003): 50-55. Kamei, Nobutaka. 2003. The Deaf in Africa (1) Nations and the Deaf in Africa. In: Sign Language Communication Studies (Shuwa Communication Kenkyu) (Japan Institute for Sign Language Studies) 46 (December 2002): 26-32. Kamei, Nobutaka. 1996. A study on the socialization process of infants and juveniles of Japanese macaques (Macaca fuscata). In: Annual Reports of the Primate Research Institute, Kyoto University (Kyoto Daigaku Reichorui Kenkyujo Nenpo) 26 (1996): 107. Kamei, Nobutaka. 2018. Culture-specific disorder. In: Japan Society for International Development ed. Editor-in-chief: Motoki Takahashi. Encyclopedia of international development studies. Tokyo: Maruzen Publishing. 32-33. Kamei, Nobutaka. 2014. Sign language (190-191); techniques of the body (694-695). In: National Museum of Ethnology ed. Editor-in-chief: Yoshio Sugimoto. Themes in ethnology: A world encyclopedia. Tokyo: Maruzen Publishing. Kamei, Nobutaka. 2014. Sign language. In: Japan Association for African Studies ed. Editor-in-chief: Hideaki Terashima. Encyclopedia of African studies. Kyoto: Showado. 116-119. Kamei, Nobutaka. 2010. "Column: Sign languages in Africa" (155-156); "Sign languages" in "Languages" (156-157); "Foster, Andrew Jackson" (335). In: Oda, Hideo; Kawada, Junzo; Itani Junichiro; Tanaka, Jiro and Yoneyama, Toshinao eds. New encyclopedia of Africa. Tokyo: Heibonsha Ltd.
Kamei, Nobutaka. 2009. Sign language. In: Japanese Society of Cultural Anthropology ed. Encyclopedia of cultural anthropology. Tokyo: Maruzen. 502-503. Kamei, Nobutaka. 2013. Book review: Sawamura, Nobuhide & Seiji Utsumi eds. 2012. Education and development in Kenya: The dynamism of educational research on Africa. Tokyo: Akashi Shoten. In: Journal of African Studies (Africa Kenkyu) (Japan Association for African Studies) 83: 82-84. Kamei, Nobutaka. 2012. Book review: "Hottentot Venus: A novel" (Chase-Riboud, Barbara. 2003=2012. Japanese edition. Translation supervisor: Inose, Kumie. Tokyo: Hosei University Press). In: Hokkaido Shimbun (August 26, 2012). 11. Kamei, Nobutaka. 2010. Book review: "The world of CODA: Culture of sign language and orality" (Shibuya, Tomoko. 2009. Tokyo: Igaku-shoin). In: Tosho Shimbun (The Book Review Press) 2952 (February 6, 2010): 5. Kamei, Nobutaka. 2007. Book review: "Sign language as a minority language" (Saito, Kurumi. 2007. Tokyo: University of Tokyo Press). In: Languages, Monthly journal (Gekkan Gengo) 36(11) (November 2007): 118. Kamei, Nobutaka. 2003. Can cultural anthropology be a partner of cultural biology? : Book review: "The Ape and the sushi master" (De Waal, Franz. 2001=2002. Japanese edition. Translated by: Nishida, Toshisada & Rumi Fujii. Tokyo: Hara Shobo) In: Newsletter of Kyoto Network of Anthropologists 4 (April 2003): 11-13. Kamei, Nobutaka. 2019. Public lecture "American Deaf culture: Diversity of disabilities, cultures and environments." In: Journal of cultural symbiosis research (Cultural Symbiosis Research Institute, Aichi Prefectural University) 13: 147. Kamei, Nobutaka. 2019. Public talk "Cultural aspect of sign languages: On a French documentary film "I'll Come to You with Deaf Eyes."" In: Journal of cultural symbiosis research (Cultural Symbiosis Research Institute, Aichi Prefectural University) 13: 146. Kamei, Nobutaka. 2019. Public lecture "An African journalist and a Japanese anthropologist who work in the world: Africa, Europe and Japan." In: Journal of cultural symbiosis research (Cultural Symbiosis Research Institute, Aichi Prefectural University) 13: 143. Kamei, Nobutaka. 2019. Collaboration between the Cultural Symbiosis Research Institute and the education of the Graduate School: Activities in the academic year 2018-2019. In: Journal of cultural symbiosis research (Cultural Symbiosis Research Institute, Aichi Prefectural University) 13: 134-135. Kamei, Nobutaka ed. 2019. Book reviews. In: Journal of cultural symbiosis research (Cultural Symbiosis Research Institute, Aichi Prefectural University) 13: 123-133. Kamei, Nobutaka. 2019. Session G2: Studies on African childhood and international development: Play, religion, subsistence activities and children's learning. In: Newsletter of the Japan Society for International Development (JASID): Session Report of the 29th Annual Conference of the Japan Society for International Development (JASID) 30(1) (No.111-2): 13-14. Kamei, Nobutaka. 2019. Long-term overseas research "Descriptive research on sign languages and Deaf communities in French-speaking West Africa." In: Aichi Prefectural University Newsletter (Aichi Prefectural University) 3: 6. Kamei, Nobutaka. 2017. Accessible events by Cultural Symbiosis Research Institute: Caption service for the deaf in luncheon seminars. In: Journal of cultural symbiosis research (Cultural Symbiosis Research Institute, Aichi Prefectural University) 11: 134-135. Kamei, Nobutaka. 2017. The promotion of fieldwork skill training by Cultural Symbiosis Research Institute: The cases of the photo exhibitions and the workshops of visual anthropology. In: Journal of cultural symbiosis research (Cultural Symbiosis Research Institute, Aichi Prefectural University) 11: 132-133. Kamei, Nobutaka. 2017. A report on the special lecture by the Deaf guest "Harachi's way," sponsored by Cultural Symbiosis Research Institute, Aichi Prefectural University. In: Journal of cultural symbiosis research (Cultural Symbiosis Research Institute, Aichi Prefectural University) 11: 119-120. Kamei, Nobutaka. 2017. Let's visit the world of sign languages: The attempt of cultural anthropology and linguistics: The 1st luncheon seminar sponsored by Cultural Symbiosis Research Institute, Aichi Prefectural University. In: Journal of cultural symbiosis research (Cultural Symbiosis Research Institute, Aichi Prefectural University) 11: 109-110. Kamei, Nobutaka & Atsumi Miyatani. 2017. A report on the photo exhibition of the Department of International and Cultural Studies in Aeon Mall Tokoname. In: Annual report of the School of Foreign Studies, Aichi Prefectural University: 2016-2017. 103-104. Kamei, Nobutaka. 2017. A report on the Fieldwork Festa 2016, Department of International and Cultural Studies. In: Annual report of the School of Foreign Studies, Aichi Prefectural University: 2016-2017. 101-102. Sugiyama, Saburo & Nobutaka Kamei. 2016. Cultural Symbiosis Research Institute, Aichi Prefectural University. In: Newsletter of the Research Institute of International Collaboration and Coexistence, Osaka Jogakuin University 10: 8. Kamei, Nobutaka. 2016. Africa: Democracy, development and good governance: The lecture and the seminar of African area studies with Mr. Bodjona, Chargé d'Affaires of Togolese Republic of Japan. In: Journal of cultural symbiosis research (Cultural Symbiosis Research Institute, Aichi Prefectural University) 10: 134-139. Kamei, Nobutaka ed. 2016. Featured articles "Global issues of environment and resources: Perspectives of the world and Japan in 21st century." In: Journal of cultural symbiosis research (Cultural Symbiosis Research Institute, Aichi Prefectural University) 10: 4-48. Kamei, Nobutaka. 2016. Students' activities of the Department of International and Cultural Studies filmed by NHK crew and aired on TV in the program "Asaichi." In: Annual report of the School of Foreign Studies, Aichi Prefectural University: 2015-2016. p.98. Kamei, Nobutaka. 2016. A report on the Fieldwork Festa 2015, Department of International and Cultural Studies. In: Annual report of the School of Foreign Studies, Aichi Prefectural University: 2015-2016. 96-97. Kamei, Nobutaka. 2015. The 4th café of child science "Approaches of the studies on African childhood: The aims and perspectives" (April 26, 2014, Mita Campus, Keio University, Minato, Tokyo, Japan). In: the website of Japanese Society of Child Science (the lecture on April 26, 2014; the manuscript submitted on October 18, 2015; uploaded on October 23, 2015). Kamei, Nobutaka. 2015. Activists (3) Mr. Nobutaka Kamei. Against the violence of the dichotomy of "assimilation or segregation": The role of cultural anthropologists of today. In: at plus (Ohta Publishing Co.) 24 (May 2015): 142-158. Kamei, Nobutaka. 2015. "Segregation in the name of cultural differences" ? : Apartheid and the politics of the acceptance of differences. In: Africa NOW (Africa Japan Forum) 102 (Special topic 2: Demand withdrawal Sono Ayako's essay supporting apartheid): 28-29. Kamei, Nobutaka ed. 2015. Report of the 11th Annual Child Science Conference: Symposium B "Attempts of the studies on African childhood: Children who grow up in cultural and social environments." In: Child science (Japanese Society of Child Science) 11: 53-58. Kamei, Nobutaka. 2015. A report on the participation of the Department of International and Cultural Studies in the World Collaboration Festa 2014! In: Annual report of the School of Foreign Studies, Aichi Prefectural University: 2014-2015. 106-108. Kamei, Nobutaka. 2015. A report on the Fieldwork Festa 2014, Department of International and Cultural Studies. In: Annual report of the School of Foreign Studies, Aichi Prefectural University: 2014-2015. 104-105. Kamei, Nobutaka. 2015. Ajimura Yui, a student in the Department of European Studies, Division of Spanish and Latin American Studies, won the prize in the student film contest in Universidad Nacional Autonoma de Mexico (UNAM). In: Annual report of the School of Foreign Studies, Aichi Prefectural University: 2014-2015. 99. Kamei, Nobutaka. 2015. TAKI Reina and HOSHINO Sawa, two students of the Department of International and Cultural Studies, won first prize in the 8th Annual Morita Cup & The Mainichi Cup: Pair Presentation Contest on Japanese Culture. In: Annual report of the School of Foreign Studies, Aichi Prefectural University: 2014-2015. 97-98. Kamei, Nobutaka. 2015. The visit and meeting with Togo's Ambassador to Japan Bodjona. In: Journal of cultural symbiosis research (Cultural Symbiosis Research Institute, Aichi Prefectural University) 9: 132-136. Kamei, Nobutaka. 2015. Public lecture "Learning cultural anthropology in the university: Cases and possibilities of fieldwork training." In: Journal of cultural symbiosis research (Cultural Symbiosis Research Institute, Aichi Prefectural University) 9: 127-131. Kamei, Nobutaka. 2015. Play and life of children of peoples in the world: A perspective of cultural anthropology. In: Annual report of Archaeological Research Center of Kanagawa Prefecture. 26 (2013-2014). 34. Kamei, Nobutaka. 2014. Discussions 2: Leaning well-being from the history of African sign languages. In: NHK textbook: Social welfare seminar (NHK publishing) April-July 2014: 110-113. Kamei, Nobutaka. 2014. A report on the "Joint students' film festival by St. Andrew's University and Aichi Prefectural University." In: Annual report of the School of Foreign Studies, Aichi Prefectural University: 2013-2014. 106-108. Kamei, Nobutaka. 2014. A report on the participation of the Department of International and Cultural Studies in the World Collaboration Festa 2013! In: Annual report of the School of Foreign Studies, Aichi Prefectural University: 2013-2014. 100-103. Kamei, Nobutaka. 2014. A report on the Fieldwork Festa 2013, Department of International and Cultural Studies. In: Annual report of the School of Foreign Studies, Aichi Prefectural University: 2013-2014. 98-99. Goto, Akira & Nobutaka Kamei. 2013. Meeting report: Report of the special sessions "Ecological anthropology of today" by Chubu Society of Anthropology. In: Newsletter of the Society for Ecological Anthropology 18: 44-46. Kamei, Nobutaka. 2013. A report on the Fieldwork Festa 2012, Department of International and Cultural Studies. In: Annual report of the School of Foreign Studies, Aichi Prefectural University: 2012-2013. 86-87. Kamei, Nobutaka. 2013. A report on the study camp for new students, Department of International and Cultural Studies. In: Annual report of the School of Foreign Studies, Aichi Prefectural University: 2012-2013. 40-41. Kamei, Nobutaka. 2012. World created by play. In: Special feature: New ways of worldmaking, Kohkoku: Where art and science fall in love (Hakuhodo) 389 (August 2012): 146-147. Kamei, Nobutaka. 2012. A report on the "Fieldwork Festa," Department of International and Cultural Studies. In: Annual report of the School of Foreign Studies, Aichi Prefectural University: 2011-2012. 152-153. Kamei, Nobutaka. 2012. A report on the study camp for new students, Department of International and Cultural Studies. In: Annual report of the School of Foreign Studies, Aichi Prefectural University: 2011-2012. 36-37. Kamei, Nobutaka. 2011. Four traffic IC cards. In: Newsletter of the Faculty and Staff Union of Aichi Prefectural University. 123: 12-13. Kamei, Nobutaka. 2011. A new concept in the studies on African childhood (p.3); KAMEI Nobutaka's talk: Thinking about studies on African childhood by tracing "Little "hunters" in the forest" (pp.4-10). In: Africa NOW (Africa Japan Forum) 90 (Special topic: The studies on African childhood). Kamei, Nobutaka. 2010. An interpreter X a cultural anthropologist (12) Cultural relativism. 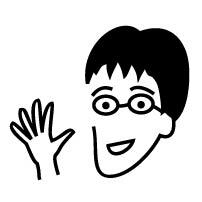 In: Tsubasa (Japanese Association of Sign Language Interpreters (JASLI)) 226 (November 2010): 10-11. Kamei, Nobutaka. 2010. An interpreter X a cultural anthropologist (11) Writing culture. In: Tsubasa (Japanese Association of Sign Language Interpreters (JASLI)) 225 (October 2010): 8-9. Kamei, Nobutaka. 2010. An interpreter X a cultural anthropologist (10) Practice. In: Tsubasa (Japanese Association of Sign Language Interpreters (JASLI)) 224 (September 2010): 16-17. Kamei, Nobutaka. 2010. An interpreter X a cultural anthropologist (9) Definition of culture. In: Tsubasa (Japanese Association of Sign Language Interpreters (JASLI)) 223 (August 2010): 8-9. Kamei, Nobutaka. 2010. The first exhibition of sign languages (Featured articles "Languages of the world, the world of languages"). In: Monthly Minpaku (National Museum of Ethnology) 34(7) (July 2010): 5. Kamei, Nobutaka. 2010. An interpreter X a cultural anthropologist (8) Functionalism / structuralism. In: Tsubasa (Japanese Association of Sign Language Interpreters (JASLI)) 222 (July 2010): 8-9. Kamei, Nobutaka. 2010. An interpreter X a cultural anthropologist (7) Etic / emic. In: Tsubasa (Japanese Association of Sign Language Interpreters (JASLI)) 221 (June 2010): 16-17. Kamei, Nobutaka. 2010. An interpreter X a cultural anthropologist (6) Folk taxonomy. In: Tsubasa (Japanese Association of Sign Language Interpreters (JASLI)) 220 (May 2010): 8-9. Kamei, Nobutaka. 2010. An interpreter X a cultural anthropologist (5) Field notes. In: Tsubasa (Japanese Association of Sign Language Interpreters (JASLI)) 219 (April 2010): 10-11. Kamei, Nobutaka. 2010. An interpreter X a cultural anthropologist (4) Universality. In: Tsubasa (Japanese Association of Sign Language Interpreters (JASLI)) 218 (March 2010): 10-11. Kamei, Nobutaka. 2010. An interpreter X a cultural anthropologist (3) Rapport. In: Tsubasa (Japanese Association of Sign Language Interpreters (JASLI)) 217 (February 2010): 10-11. Kamei, Nobutaka. 2010. Interview: Cross-cultural understanding and how to learn sign language (Interviewer: Kazushi MATSUDA). In: Equal (Society of Better Communication) 89 (February 2010): 16-25. Kamei, Nobutaka. 2010. An interpreter X a cultural anthropologist (2) Participant observation. In: Tsubasa (Japanese Association of Sign Language Interpreters (JASLI)) 216 (January 2010): 14-15. Kamei, Nobutaka. 2009. An interpreter X a cultural anthropologist (1) Fieldwork. In: Tsubasa (Japanese Association of Sign Language Interpreters (JASLI)) 215 (December 2009): 10-11. Kamei, Nobutaka. 2009. Dr. MOMOSE, the great advisor who changed my life twice. In: Editorial Board of the remembrance book for the late Dr. MOMOSE Kuniyasu ed. Remembrance book for the late Dr. MOMOSE Kuniyasu. 26-32. Kamei, Nobutaka. 2009. Sunday wide: Cultural page: Multicultural world of sign languages. In: The Seikyo Shimbun (October 11, 2009). 6. Kamei, Nobutaka. 2009. Interview with the paperback author in the news (8) Cultural anthropological approach to sign languages and Deaf cultures : Mr. Nobutaka KAMEI (Cultural anthropologist) (interviewed by Yoko YUHARA on July 28, 2009, uploaded on the website on September 15, 2009). In: Kaze (Association Press). Kamei, Nobutaka. 2009. Makudo or Makku for McDonald's? : Sign language interpretation and dialects (Relay talk No.141). In: Tsubasa (Japanese Association of Sign Language Interpreters (JASLI)) 207 (April 2009): 18-20. Kamei, Nobutaka. 2009. How did I encounter African sign languages (interview). In: Field+ (Research Institute for Languages and Cultures of Asia and Africa, Tokyo University of Foreign Studies) 1 (January 2009): 26-29. Akiyama, Nami & Nobutaka Kamei. 2009. Rosha no mesen, chosha no kizuki (View of the Deaf, finding of the hearing). In: NHK Minna no shuwa (Sign language for everyone) (January-March 2009). Tokyo: Nihon Hoso Shuppan Kyokai. 74-76. Kamei, Nobutaka. 2008. Impression of the lecture "Campus life and sign languages." In: KSKQ Ichigo Ichie (Japan Deaf Student Association) January 2009: 18-19. Kamei, Nobutaka. 2008. Special lecture: Achievements of Andrew J. Foster, the pioneer of deaf education in Africa. In: Zenchokyo (Japan Association of Deaf Teachers) 45: 18-29. Akiyama, Nami & Nobutaka Kamei. 2008. Rosha no mesen, chosha no kizuki (View of the Deaf, finding of the hearing) In: NHK Minna no shuwa (Sign language for everyone) (October-December 2008). Tokyo: Nihon Hoso Shuppan Kyokai. 74-78. Akiyama, Nami & Nobutaka Kamei. 2008. Rosha no mesen, chosha no kizuki (View of the Deaf, finding of the hearing) In: NHK Minna no shuwa (Sign language for everyone) (July-September 2008). Tokyo: Nihon Hoso Shuppan Kyokai. 74-76. Kamei, Nobutaka. 2008. Essay in the field: Visit to the origin of African sign languages. In: Monthly Minpaku (National Museum of Ethnology) 32(6) (June 2008): 22-23. Akiyama, Nami & Nobutaka Kamei. 2008. Rosha no mesen, chosha no kizuki (View of the Deaf, finding of the hearing) In: NHK Minna no shuwa (Sign language for everyone) (April-June 2008). Tokyo: Nihon Hoso Shuppan Kyokai. 74-78. Kamei, Nobutaka. 2008. Encounter of minority studies and development studies: Essay of the winner of 2007 JASID Award for Excellent Work by Young Researchers. In: ILCAA Newsletter (Research Institute for Languages and Cultures of Asia and Africa, Tokyo University of Foreign Studies) 122 (March 2008): 11-12. Kamei, Nobutaka. 2008. An approach to the multi-talented fieldworkers: Introduction of publication by the author: Actions in the fields. In: Mail magazine of the 21st Century COE Program, Kwansei Gakuin University 67 (March 2, 2008). Kamei, Nobutaka. 2008. Essay on happiness studies (65) How can we discuss human well-being? : Reviews and perspectives of the 21st Century COE Program. In: Mail magazine of the 21st Century COE Program, Kwansei Gakuin University 66 (February 22, 2008). Kamei, Nobutaka. 2008. Essay of the winner of 2007 JASID Award for Excellent Work by Young Researchers. In: Newsletter of the Japan Society for International Development 19(1) (January 2008): 18. Kamei, Nobutaka. 2008. Report of the Session 9 "Africa," the 18th Annual Meeting of the Japan Society for International Development. In: Newsletter of the Japan Society for International Development 19(1) (January 2008): 5-6. Akiyama, Nami & Nobutaka Kamei. 2008. Rosha no ibun, chosha no honne (Opinions of the Deaf, feelings of the hearing) In: NHK Minna no shuwa (Sign language for everyone) (January-March 2008). Tokyo: Nihon Hoso Shuppan Kyokai. 80-83. Kamei, Nobutaka. 2007. Interview with Africanists (13) Mr. Nobutaka KAMEI (interviewed by Shoko YAMADA and Yumiko NIIYA on November 21, 2007, uploaded on the website on December 21, 2007). In: Website Forests of Africa, GRIPS Development Forum, National Graduate Institute for Policy Studies. Kamei, Nobutaka. 2007. Book guide for well-being studies and social research: Methodology of intellectual production in the field. In: Mail magazine of the 21st Century COE Program, Kwansei Gakuin University 59 (December 3, 2007). Kamei, Nobutaka. 2007. My small manifesto. In: ILCAA Newsletter (Research Institute for Languages and Cultures of Asia and Africa, Tokyo University of Foreign Studies) 121 (November 2007): 28. Kamei, Nobutaka. 2007. Around the world: Visit to the signing communities in Africa (3) A Deaf school, Cameroon. In: Teaching English Now (Sanseido) 10 (Fall 2007): 0 (inside cover). Kamei, Nobutaka. 2007. Essay on happiness studies (46) A researcher's experiences in multi-lingual communities. In: Mail magazine of the 21st Century COE Program, Kwansei Gakuin University 53 (October 2, 2007). Kamei, Nobutaka. 2007. Essay on happiness studies (42) The oldest social research in the history. In: Mail magazine of the 21st Century COE Program, Kwansei Gakuin University 49 (August 2, 2007). Kamei, Nobutaka. 2007. Book guide for well-being studies and social research: Incomplete confession. In: Mail magazine of the 21st Century COE Program, Kwansei Gakuin University 47 (July 12, 2007). Kamei, Nobutaka. 2007. Essay on happiness studies (36) Mail magazine in education! In: Mail magazine of the 21st Century COE Program, Kwansei Gakuin University 43 (June 2, 2007). Kamei, Nobutaka. 2007. Around the world: Visit to the signing communities in Africa (2) A Deaf village, Ghana. In: Teaching English Now (Sanseido) 9 (Summer 2007): 0 (inside cover). Kamei, Nobutaka. 2007. Essay on happiness studies (29) Real characters of the pioneer. In: Mail magazine of the 21st Century COE Program, Kwansei Gakuin University 36 (March 2, 2007). Kamei, Nobutaka. 2007. Essay on happiness studies (28) Strange controversies over unauthorized quotations. In: Mail magazine of the 21st Century COE Program, Kwansei Gakuin University 35 (February 22, 2007). Kamei, Nobutaka. 2007. Book guide for well-being studies and social research: False social research: An introduction to the research literacy. In: Mail magazine of the 21st Century COE Program, Kwansei Gakuin University 34 (February 13, 2007). Kamei, Nobutaka. 2007. Around the world: Visit to the signing communities in Africa (1) A Deaf church, Nigeria. In: Teaching English Now (Sanseido) 8 (Spring 2007): 0 (inside cover). Kamei, Nobutaka. 2007. Introduction of publication by the author: History of Deaf people and sign languages in Africa: Fieldwork in the "kingdom" derived from Andrew J. Foster. In: Mail magazine of the 21st Century COE Program, Kwansei Gakuin University 32 (January 22, 2007). Kamei, Nobutaka. 2006. Book guide for well-being studies and social research: Kalashnikov assault rifles, vol. II. In: Mail magazine of the 21st Century COE Program, Kwansei Gakuin University 30 (December 22, 2006). Kamei, Nobutaka. 2006. Book guide for well-being studies and social research: A boy printed in a postcard. In: Mail magazine of the 21st Century COE Program, Kwansei Gakuin University 29 (December 12, 2006). Kamei, Nobutaka. 2006. Book guide for well-being studies and social research: South Africa: Steps to the "Rainbow nation". In: Mail magazine of the 21st Century COE Program, Kwansei Gakuin University 28 (December 2, 2006). Kamei, Nobutaka. 2006. Book guide for well-being studies and social research: Happiness studies by the author of "The naked ape". In: Mail magazine of the 21st Century COE Program, Kwansei Gakuin University 25 (November 2, 2006). Kamei, Nobutaka. 2006. In: Resource Anthropology DATA & REPORT (Feature: Humankind & Resources) 8: 1. Kamei, Nobutaka. 2006. Essay on happiness studies (15) Two indices to measure human well-being. In: Mail magazine of the 21st Century COE Program, Kwansei Gakuin University 22 (October 2, 2006). Kamei, Nobutaka. 2006. Book guide for well-being studies and social research: Skills for research activities: An introduction to social research for citizens. In: Mail magazine of the 21st Century COE Program, Kwansei Gakuin University 20 (September 12, 2006). Kamei, Nobutaka. 2006. Book guide for well-being studies and social research: Sociology to disbelieve the common sense: Sensibilities of qualitative research. In: Mail magazine of the 21st Century COE Program, Kwansei Gakuin University 19 (September 2, 2006). Kamei, Nobutaka. 2006. Essay on happiness studies (11) English for whom? In: Mail magazine of the 21st Century COE Program, Kwansei Gakuin University 18 (August 2, 2006). Kamei, Nobutaka. 2006. Essay on happiness studies (10) A mystery of Portuguese. In: Mail magazine of the 21st Century COE Program, Kwansei Gakuin University 17 (July 22, 2006). Kamei, Nobutaka. 2006. Book guide for well-being studies and social research: Overseas academic research in modern Japan. In: Mail magazine of the 21st Century COE Program, Kwansei Gakuin University 16 (July 12, 2006). Kamei, Nobutaka. 2006. Deaf people and cell-phone messages: Cameroon. In: Monthly Minpaku (National Museum of Ethnology) 30(7) (July 2006): 6-7. Kamei, Nobutaka. 2006. Book guide for well-being studies and social research: Reflections on Human Development. In: Mail magazine of the 21st Century COE Program, Kwansei Gakuin University 12 (June 2, 2006). Kamei, Nobutaka. 2006. Essay on happiness studies (3) Applied anthropological cinema: Erin Brockovich. In: Mail magazine of the 21st Century COE Program, Kwansei Gakuin University 10 (May 12, 2006). Kamei, Nobutaka. 2006. Essay on happiness studies (1) Social research that produces casualties. In: Mail magazine of the 21st Century COE Program, Kwansei Gakuin University 8 (April 24, 2006). Kamei, Nobutaka. 2005. Norms and orders of sign languages. In: Newsletter of "Plurality and science, technology, art (PaSTA)," the 21st COE Program of the Graduate School of Literature, Kyoto University 14 (October 19, 2005): 3-4. Kamei, Nobutaka. 2005. Note for accepting a Deaf member. In: Newsletter of the Japan Society for International Development 16(1) (January 15, 2005): 29. Kamei, Nobutaka. 2002. Little hunter-gatherers: Subsistence activities by the Baka children. In: Newsletter of the Society for Ecological Anthropology 8 (2002): 12-13. Kamei, Nobutaka. 2001. Perspectives of Deaf ethnography. In: Newsletter of Kyoto Network of Anthropologists 1 (2001): 7-11. Kamei, Nobutaka. 2001. Play of the children of the Baka hunter-gatherers. In: Newsletter of the Society for Ecological Anthropology 7 (2001): 2-3. Kamei, Nobutaka. 2000. International exchanges of Deaf communities: Exposition of African Deaf art. In: Africa on Line (mail magazine) (Africa Japan Forum (AJF)) 46 (April 17, 2000). Kamei, Nobutaka. 1999. What is happening in Cameroon? In: Africa on Line (mail magazine) (Africa Japan Forum (AJF)) 28 (December 6, 1999). Kamei, Nobutaka ed. 2015. Global issues of environment and resources: Perspectives of the world and Japan in 21st century (Extension course 2015, Aichi Prefectural University). Nagakute: Regional Liaison Center, Aichi Prefectural University. Kamei, Nobutaka. 2014. Public lecture: Learning cultural anthropology in the university: Cases and possibilities of fieldwork training (July 26, 2014, Winc Aichi, Nakamura, Nagoya, Aichi, Japan). Tokyo: Japanese Society of Cultural Anthropology. Kamei, Nobutaka. 2013. Africa and Europe. In: Takenaka, Katsuyuki ed. Boundary of cultures in the era of globalization: Challenges of Europe that manages diversity (Extension course 2013, Aichi Prefectural University). Nagakute: Regional Liaison Center, Aichi Prefectural University. 33-36. Akiyama, Nami & Nobutaka Kamei. 2007. Deafness, languages and cultures (2nd edition). Nishinomiya: Kwansei Gakuin University Press. Kamei, Nobutaka. 2006. Sign languages: Languages of the Deaf. In: New Crown English Series, New Edition: Worksheets (2006). Tokyo: Sanseido. 50-51. Akiyama, Nami & Nobutaka Kamei. 2006. Deafness, languages and cultures. Nishinomiya: Kwansei Gakuin University Press. Journal of cultural symbiosis research (Cultural Symbiosis Research Institute, Aichi Prefectural University) 13. Journal of cultural symbiosis research (Cultural Symbiosis Research Institute, Aichi Prefectural University) 12. Tanaka, Jiro. 2017. Explorations to African cultures: Half century's history and beyond. Kyoto: Kyoto University Press. Journal of cultural symbiosis research (Cultural Symbiosis Research Institute, Aichi Prefectural University) 11. Kawai-juku ed. 2016. Active learning in the university: From the introduction to the curriculum management. Tokyo: Toshindo. Journal of cultural symbiosis research (Cultural Symbiosis Research Institute, Aichi Prefectural University) 10. Journal of cultural symbiosis research (Cultural Symbiosis Research Institute, Aichi Prefectural University) 9. Yamada, Shoko. 2012. Roundtable on the studies of African childhood: A summary and report. In: Africa Educational Research Journal (Africa Educational Research Forum) 3 (December 2012): 1-27. Kimura, Daiji & Koichi Kitanishi eds. 2010. People, nature and history of African tropical forests 1: From ecological perspectives. Kyoto: Kyoto University Press. Editorial Board of the remembrance book for the late Dr. OHTSUKA Kazuo ed. 2009. Arigato (Thank you): Life history of Dr. OTSUKA Kazuo, a social anthropologist. Fuchu: Editorial Board of the remembrance book for the late Dr. OTSUKA Kazuo. 21st Century COE Program, Kwansei Gakuin University. 2005. Advanced Social Research (Sentan Shakai Kenkyu) 2. 21st Century COE Program, Kwansei Gakuin University. 2004. Advanced Social Research (Sentan Shakai Kenkyu) 1.